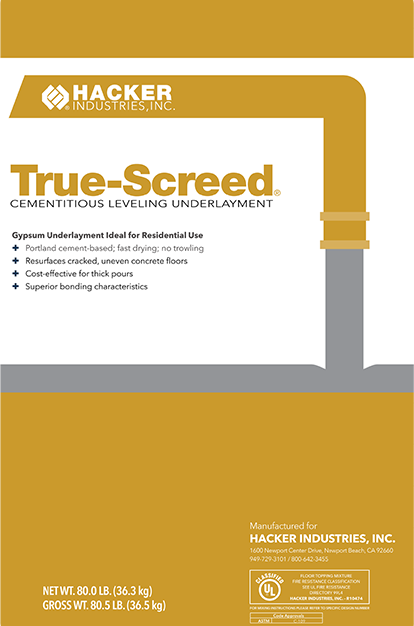 TRUE-SCREED® Cementitious Leveling Underlayment (CLU) is a Portland cement-based underlayment that is specifically designed for projects with deep-fill requirements that need to stay on budget. 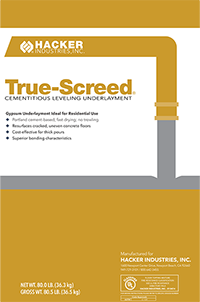 TRUE-SCREED® CLU provides a cost-effective method to transform cracked, uneven concrete floors into a smooth, strong surface for finished floor coverings. The product also offers exceptional surface hardness and quick drying time, keeping construction projects on schedule. Cracked or damaged concrete, new construction and renovation projects, & commercial Buildings.